(Lord) Alfred Robens (photo) was appointed Chairman of NCB. He succeeded Sir James Bowman from February 1961-1971. 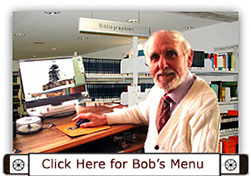 He had served as a Labour MP and had had experience in the Department of Energy. From 1st January 1961, wage rises were implemented for NUM members. At the same time women clerical workers doing a similar job to men were to receive equal pay. Membership of the Mineworkers’ Pension Scheme was made compulsory and employees were contracted out of the State Graduated Pension Scheme. National Smokeless Fuel Agreement signed, however local agreements for coal still applied. In February a National Conciliation Scheme for Deputies was agreed with NACODS. The Top Hard 3’ 4” (1.02m) to 3’ 9” (1.14m) at Steetley (North Derbyshire) was abandoned on 1st Jan 1961. Workings adjacent were Whitwell (North Derbyshire) and Manton (Nottinghamshire). There were goaf connections to Shireoaks, the Top Hard there being abandoned in 1960. Panel working was not as successful as the old stall method of working. Bevercotes Starts Production In 1961, from the Parkgate seam with the most modern and up-to-date machinery and methods. 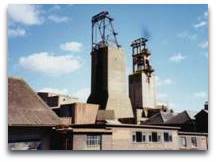 It was hailed as the first ‘push-button’ colliery in the World and had an underground control centre to monitor production etc. Tower mounted Koepe winders, Ventilation by Aerex bladed centrifugal type 4.57m dia, 1640kw motor at 375rpm, 280m, 3m/s at 3,000N/m3, 2 x 24 ft (7.31m) dia shafts concrete lined. DC shaft, 2 x 2 ton mine cars, UC 12 ton skips. Dense medium coal prep plant capable of 600 tons per hour, plus a foreign coal bunker of 250 tons per hour. Methane drainage was practised with 4 vacuum pumps at the surface, 108,000 cu ft /hr at 8” (0.20m) mercury. Shaft ranges 12” (0.30m) dia and district ranges, 8” (0.20m) and 4” (0.10m). I visited the mine and was highly impressed by everything I saw, because basically although there was some mechanisation at Teversal in the Waterloo seam, using shearers etc it was still a 19th Century pit, with handfilling methods in the Dunsil seam and low roadways etc. All development work was done by boring and firing and handfilling out. This new pit was isolated and not connected to any other. Around 20 gallons of underground water pumped up No1 shaft and discharged into the nearby River Meden. No4 shaft at 24 feet (7.31m) dia was sunk at Manton (Nottinghamshire) to access the Deep Soft (Flockton) and Parkgate. A new tower winder with 4 ropes was commissioned to wind 14.5 ton skips. No2 shaft, 20 feet dia (6.1m) was deepened to the Parkgate seam. Electric winders were installed. 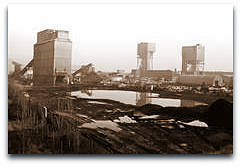 Norwood shafts (Derbyshire) were filled in June 1961. Position No1 shaft Sk4460581853, No2 shaft SK4657581856 app. 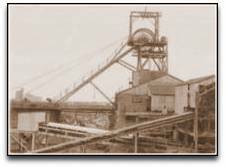 Major reconstruction schemes were completed at 3 collieries in South Derbyshire and 2 others undergoing reconstruction whilst a further 3 were to be undertaken to maintain output. The Area was the first in the country to reach an output of 2 tons per manshift. 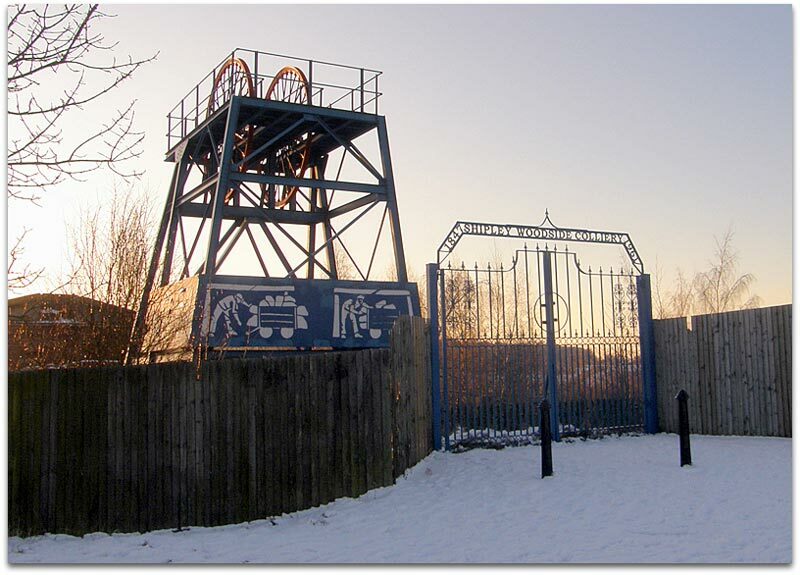 When the Main Coal workings from Old Copperas pit were entered from Bretby colliery in 1961 it was apparent that the workings had been flooded for many years but had been drained by the pump at Nadin’s pit. 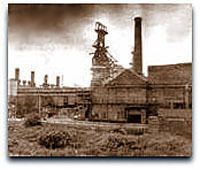 The Top Hard seam at Shirebrook (Derbyshire) worked continually since opening, was abandoned. A major reconstruction introduced mine cars for winding coal and long cross-measures drift to the Deep Soft and deepening of No2 shaft. There was an outburst of firedamp at Welbeck (Nottinghamshire) from the Top Hard seam and one at Rufford (Nottinghamshire) from the Low Main seam. The Coal News and Management News were published to replace the magazine ‘Coal’. The information published was generally welcomed by the workforce as it had production information, as well as light hearted comments about the industry in general, and details about the local pits in the area, in fact some comments in this book are from the publications. Trepan-shearers were introduced, to give a mixture of small and large coals. One end of the machine had a trepan auger head and the other end a shearer disc and when worked one way gave large coals and in the opposite direction small coals. A 5 year Apprenticeship scheme was introduced for mechanics and electricians as mechanisation was gathering pace, and the older men in the job were ‘somewhat past it’, no disrespect meant, but they were used to the old coal cutters and low voltage power. Bolsover (Derbyshire) No2 shaft winder was converted from steam to electric, to wind from 622 yards (569m). Woodside No 2 / 3 colliery (Derbyshire) sunk in 1899 by the Shipley Colliery Co was closed in June 1961 after 61 years and merged with Coppice. Tagg Hill Air shaft was situated near to the Technical College on Ilkeston Road (dismantled 2004). 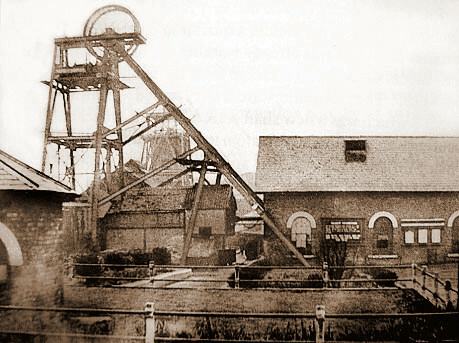 The mine was situated mid way between Heanor and Ilkeston at Shipley village. 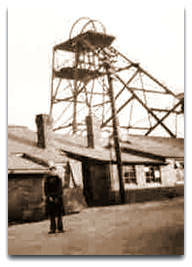 The Drift mine sunk to Top Hard at 45 yards (41m) in 1948 continued. Shaft positions: SK44SW, 444765, 344463 and 444795, 344373. Highest manpower was 1,623 in 1949 and highest ever output of 940,576 tons in 1954. There were at least 8 shafts sunk in the pit yard. This was the pit that I visited in 1947 (photo above to right) when I was 10 years old and vowed never to go underground again. However that was not to be. Woodside No1 was sunk 1874. The original pit Shipley was sunk around 1817/1820 by E M Mundy down to Kilburn (or Buckland Hollow coal) at 499 yards (457m). The Waterloo seam lay at 103 yards (94m) and Deep Hard at 244 yards (223m). The old Woodside Tandem shafts to the Soft coal, another pair of Tandem shafts to the Top Hard at 6 feet (1.8m) diameter and only 12 feet (3.65m) apart (corf chain loops left in). The engine house was located between these pairs of shafts. 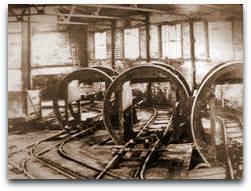 No2 and No3 UC shafts were sunk to the Kilburn. No3 winding Low Main 290 yards (265m), Ashgate and Mickley wound 100 yards (91m) below Low Main pit bottom. Pithead baths were opened in 1938. Kilburn 1899-1937 at 490 yards (448m). A Sandvik steel band conveyor (Swedish) first of its kind in UK was installed and transported 1,200 tons in 7 hours. In 1949 output was 174,089 and manpower 1,623 and in 1954 output 940,576 tons and manpower 1,562. In 1957 coal face men 808, EBG 464, surface 298, total 1,570. A heading in Dunsil seam was abandoned in July 1961 – Sam’s shaft. Drift mine to Waterloo at 50 yards (46m). 1961: 90,694 tons, 240 men. Colliery merged with Coppice June 1961. Jim Smillie Agent (2828) 1944-1946. Robert (Bob) Haworth (5086) 1959-1960 (transferred to Moorgreen). Robert (Bob) Haworth (5086) for 1, 2, 3, 1958-1959 (promoted to Deputy Manager). Ken G Edwards (6826) No1 1959-1961. George Eley died underground of natural causes. 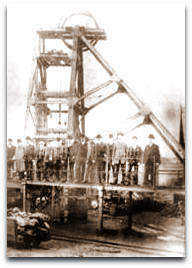 (His son Hiram Eley (35) was the first to be killed underground at the newly opened Ollerton Colliery in 1926).